Ten years after the great financial crisis, there’s a sense that Wall Street’s demons have been vanquished and the Trump administration is trying to push the pendulum in a deregulatory direction. But an obscure fight buried in the bowels of the derivatives market shows why this complacency is dangerous. Some Wall Street experts see it as a possible harbinger of the next financial crash. The fight involves credit-default swaps, which provide a way for traders to insure themselves against the danger that a major institution won’t repay its debts. In principle, these swaps are a healthy feature of the financial system. If Bank A fears Bank B might not repay it, then Bank A can buy credit-default insurance rather than dumping Bank B’s bonds and pulling loans. This avoids choking off Bank B’s access to credit, which in turn would force Bank B to cut lending to businesses and consumers, spreading the damage. To manage this insurance market, a 15-member “determinations committee” of banks and investors adjudicates the contracts. Its first job is to decide when Bank B has technically defaulted, just as home insurance relies on the police to certify that a robbery has taken place. Next, the committee’s role is to decide which bundles of debt are covered by the insurance. In the case of a robbery, the insurance company will check whether you really did insure your auntie’s antique jewelry. In the case of a complex bankruptcy, bonds issued by some parts of a bankrupt borrower may be covered by a credit-default swap, while bonds issued by other subsidiaries may not. Which leads us to the present worry. Last month, the retail giant Sears filed for bankruptcy, signaling that banks and hedge funds that had written credit-default insurance should get ready to pay out. 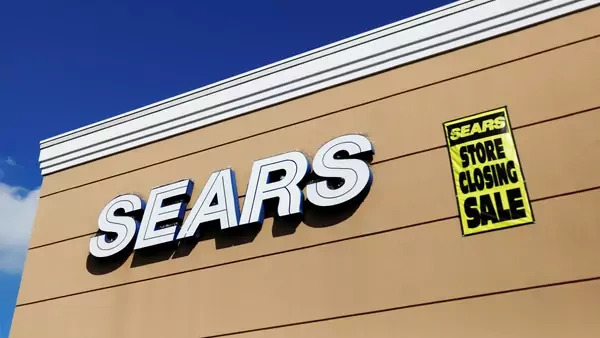 But the real shock came last week, when “intercompany notes” — that is, debt that one part of Sears owes to another — showed up on a list of bonds that could be counted as insured. The notes got there because Sears asked that they be included. If they remain, this would by some accounts be the first time that inside debt has been eligible for coverage by credit-default insurance. Unless the expert committee blocks use of the notes at a meeting Thursday, the $11 trillion credit-default market may become a ticking time bomb. Why? A company can secretly create intercompany notes in unlimited amounts at no cost to itself: Subsidiary A lends $100 million to Subsidiary B, which promptly lends $100 million back. If this shadowy confetti can be used to make a claim on credit-default insurance, the job of writing that insurance becomes impossible. A home insurer won’t cover your house without asking about its contents. If you scribbled IOUs between you, your spouse and the chihuahua, and the courts upheld your right to large but unspecified payouts in the event of robbery, the home-insurance market would collapse. It gets worse. Suppose Bank A is worried about Bank B’s stability and buys credit-default insurance to cover itself. For further protection, Bank A demands that Bank B pledges additional collateral to secure Bank A’s loans. But now Bank B turns the tables on its tormentor. Seeing that Bank A’s credit-default insurance covers bonds issued by a particular Bank B entity, B threatens to use intercompany notes to create a so-called succession event whereby it shuffles its debts to a different part of its empire, rendering A’s insurance worthless. Rattled by this prospect, Bank A backs off its demand for more collateral and is left to contemplate the reality that credit-default insurance provides no real protection. Now consider the next domino. Because Bank A’s worries about Bank B’s stability are reasonable, Banks C through Z have also bought credit-default swaps to protect themselves. Pretty soon the word gets out that this insurance can be rendered worthless, and panic quickly mounts. Regulators demand that banks raise more capital to make up for the loss of effective default insurance, but with every bank scrambling to raise capital simultaneously, its cost shoots up. At a minimum, banks jack up the cost of loans to everyone from small businesses to home buyers. At a maximum, the freeze in an $11 trillion market creates another Lehman Brothers moment. Financial crises often begin with products that seemed reasonable at the outset: special mortgages for borrowers with weak credit, loans to promising emerging markets. Credit-default swaps are benign in principle; indeed, regulators encourage banks to buy them as protection from shocks. But the road leading off the cliff is paved with excellent intentions. If the expert committee makes the wrong call on Thursday, there is a disquieting possibility that the cliff may be in sight.